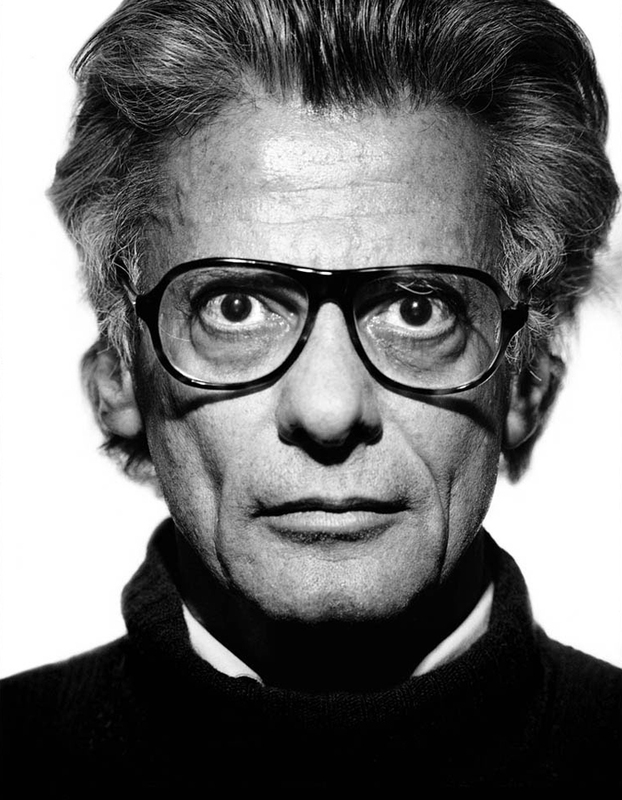 Richard Avedon was born in New York City and studied with Alexey Brodovitch. His first editorial photographs appeared in Harper’s Bazaar in 1945. He remained a photographer there until 1965. He joined Vogue in 1966 as a fashion and portrait photographer, and his affiliation with the magazine continues today. Other editorial assignments appeared in Life, Look, Theatre Arts, Newsweek, and Time. In 1976, Rolling Stone magazine published “The Family,” a special bicentennial issue consisting of 76 Avedon portraits, without text, of the most powerful people in America. He also worked as a visual consultant for the film Funny Face, starring Fred Astaire and Audrey Hepburn. Avedon has photographed and directed print and television advertising campaigns for major corporations and advertising agencies throughout the world. His client list includes: First Bank of Boston, Chemical Bank, Lincoln Mercury, Colgate, Revlon, Chanel, Max Factor, Clairol, L’Oreal, Chesebrough-Ponds, Blackglama Mink, Suntory Liquor, Don Diego Cigars, CBS Records. He is currently a Creative Consultant and Photographer-Director for Calvin Klein Jeans, Christian Dior and Gianni Versace, engaged to develop worldwide images for print and television. Avedon books include: Observations (1959), Nothing Personal (1964), Alice In Wonderland: The Forming of a Company, The Making of a Play (1973), Portraits(1976), and Avedon: Photographs 1947-1977. Avedon one-man exhibitions were held at: The Smithsonian Institution, Washington, DC (1962), The Minneapolis Institute of Arts (1970), The Museum of Modern Art, NY (1974), The Marlborough Gallery, NY (1975), The Metropolitan Museum of Art, NY (1978), The Dallas Museum of Fine Arts (1979), The High Museum of Art, Atlanta, GA (1979), Isetan, Tokyo, Japan (1979), University Art Museum, Berkeley, CA (1980). Please note: Content of biography is presented here as it was published in 1982.